Known by my friends and colleagues as “Mr. Studio City”, I am a top producing Real Estate Broker at Compass, a leading real estate technology firm. As an active Studio City resident for more than 21 years, I am a highly dedicated and integral member of my community and am know around the neighborhood for my honesty and integrity. I represent clients all over LA, and would love to talk with you about your housing needs. Feel free to call me at (818) 266-4300 any time, or click the "Contact Me" button below. Find out more about me here. Studio City is an eclectic patchwork of neighborhoods, each with its own local flavor. 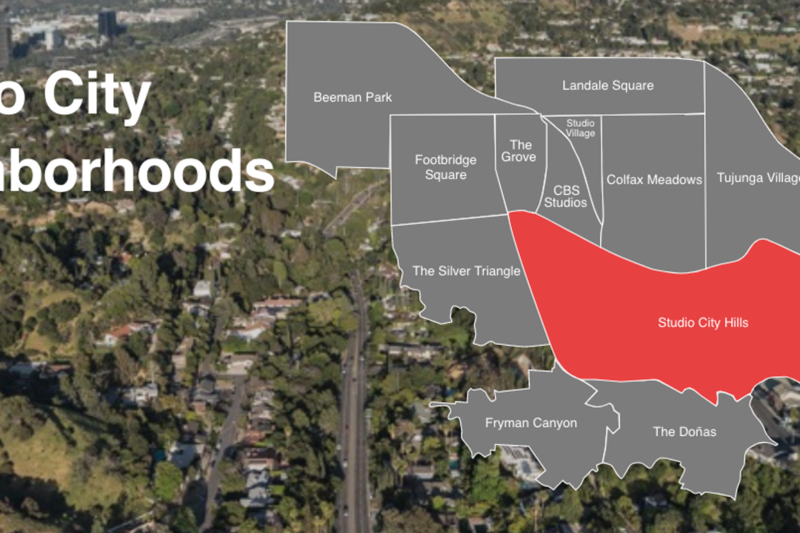 Search for your next home in the area by using my neighborhood map, a unique feature I developed for this site to help buyers understand all that Studio City has to offer. Click on each neighborhood to get a sense of its character, find out what makes it special and to see all the listings in that area. Take your housing search on the go. "We just sold our home and bought a new one and again we worked with Bryan for both. Bryan is still so cool, calm and collected and very helpful with any and all questions....We were lucky to be referred to Bryan by a friend and we sing his praises to everyone we know who's looking. Couldn't ask for a better agent." "When working with Bryan Abrams, you realize very quickly that he is more than just a realtor. He is a hand holder, an advocate, and above all else, a trusted advisor who always has your best interests at heart. I’ve known Bryan for years as the “mayor of Studio City” - always friendly, always with a smile on his face, always knowledgeable... I can’t recommend Bryan enough - even now, months later, he’s STILL helping me with recommendations and advice. I can’t imagine ever using another realtor - with Bryan, you get so much more!" "Bryan has represented me in the purchase and sale of my personal home and investment properties during the past 10 years. In each transaction, Bryan has gone beyond his duties as a realtor. He has been professional, courteous and knowledgeable. I have referred Bryan to many friends and clients. His track record is spotless. Bryan is full of integrity and will get the job done. I highly recommend his services whether you may be looking to buy or sell a property." "Bryan was great, he helped us to buy a wonderful condo in NOHO with only a 30 day closing, He referred a wonderful bank, home inspector and the escrow company .. Whooo .. Bryan was always available and very knowledgeable...We can not say enough nice things about this real professional - 5 stars all the way ..."
Last updated April 19 at 3:08 am.